Today we have a great tutorial on Design-Peak. This pattern was found on creativaatelier.com. They have a lot of different tutorials of various kinds and you better check them out for refreshing and creative ideas. 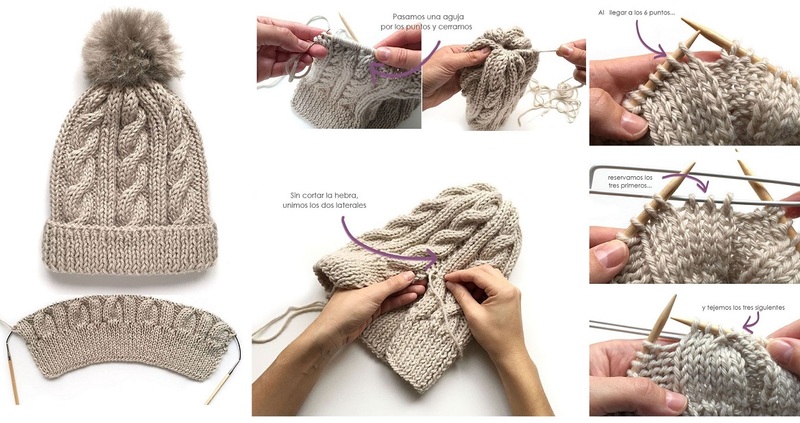 Learning to knit the hat is a great experience. This pattern is a beautiful one by its’ own but it is important to say that mastering this tutorial is going to also help you with your up and coming projects. Even though in the majority of countries the cold days of winter are about to be passed for long, there are quite a bit windy days remaining for a lot of cities. This beanie is a beautiful one. It is a classic design and you may have made the kinds of this hat prior in your DIY career however I guarantee that you are going to be pleasantly surprised with the quality and the guidelines you are going to see shortly afterwards. The beautiful beanie is about to be knitted and I am sure that you are not going to miss the chance to work your needles.